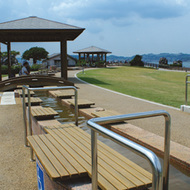 The seaside park has a 100m long natural hot spring foot spa. 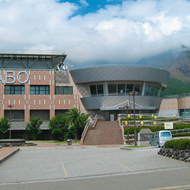 You can try to get warm while overlooking Kinko Bay and Kagoshima urban area with your back against Sakurajima. 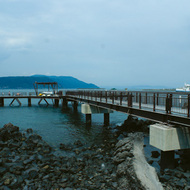 The trail stretches for 3 km from Visitor Center sideward to Karasujima Observation Point along sea. Lava fields that lead to sea can be observed. You can hire a fishing line and try fishing. You might catch Red Sea Bream, Scorpion Fish or Blue Fish. This hotel has programs to help you experience full beauty of the seasons. 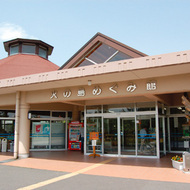 You can take a bath, the vaunty Maguma hot spring from 100m in the underground. You can buy local produce directly. There is a restaurant where original menus are created from the many kinds of local ingredients. 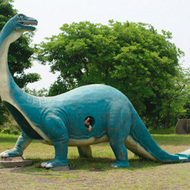 In reality, Sakurajima wasn't yet formed in the age of the dinosaurs. Nonetheless, this to-scale display allows us to see dinosaurs against the backdrop of Sakurajima. Children can also enjoy the 12m long slide and athletics facilities. You can enjoy seeing the cherry blossoms in spring. 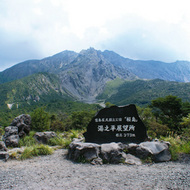 Karasujima was a small island 500m off the coast of Sakurajima, which was engulfed by lava in the great eruption of 1914. Situated at the 4th station of Mount Kita-dake and 373m above sea level, the observatory is the highest place that you can climb. 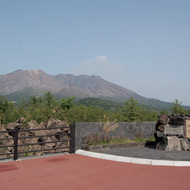 You can also view the surface of Sakurajima, the Kagoshima urban area, and Mount Kaimon.The sunset and the night view are particularly beautiful. This is where you can learn about how to respond to disasters such as mudslides. The role as the escape facility is also important. 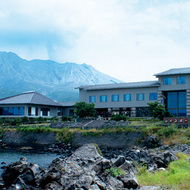 This hot spring overlooking the bay is born from the thermal energy of Sakurajima. 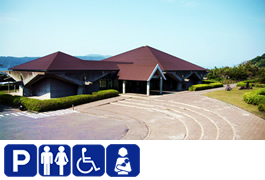 Relax and take in the view of Kinko Bay and the Satsuma and Osumi peninsulas. The observatory is on a hill that was formed from lava flow from the great eruption of 1914. 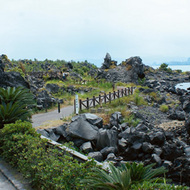 There is a 1 km path that allows you to see geographical features and vegetation resulting from the lava flow. Any time without a reservation. 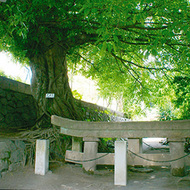 This shrine gate was buried by pumice and ash in the huge eruption of 1914. Only the top three meters of the gate remain visible. 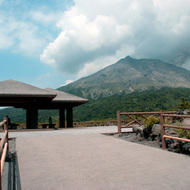 We redesigned the Sakurajima Visitor Center's website.